Knit Picks has produced yet another gorgeous collection of lovely knits! 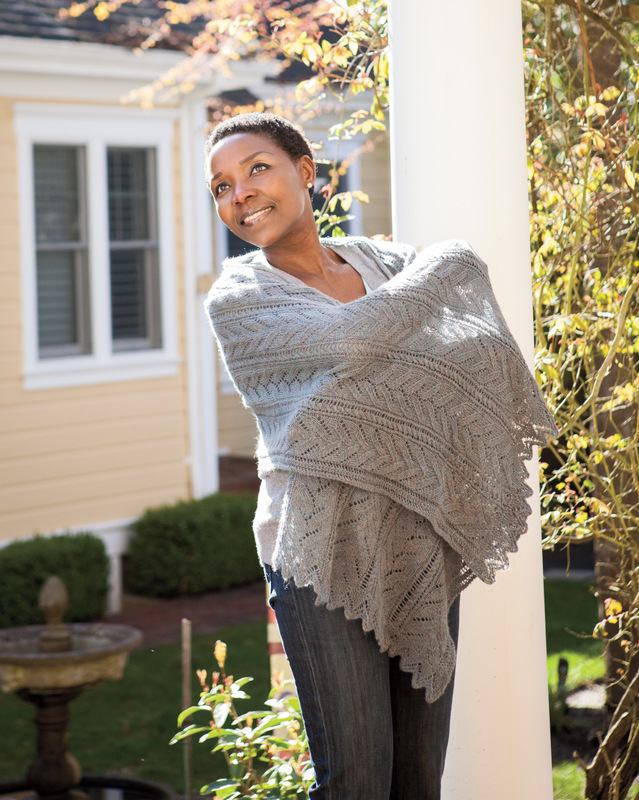 Joyful Lace has 13 beautiful lace pieces including shawls, stoles and wraps. 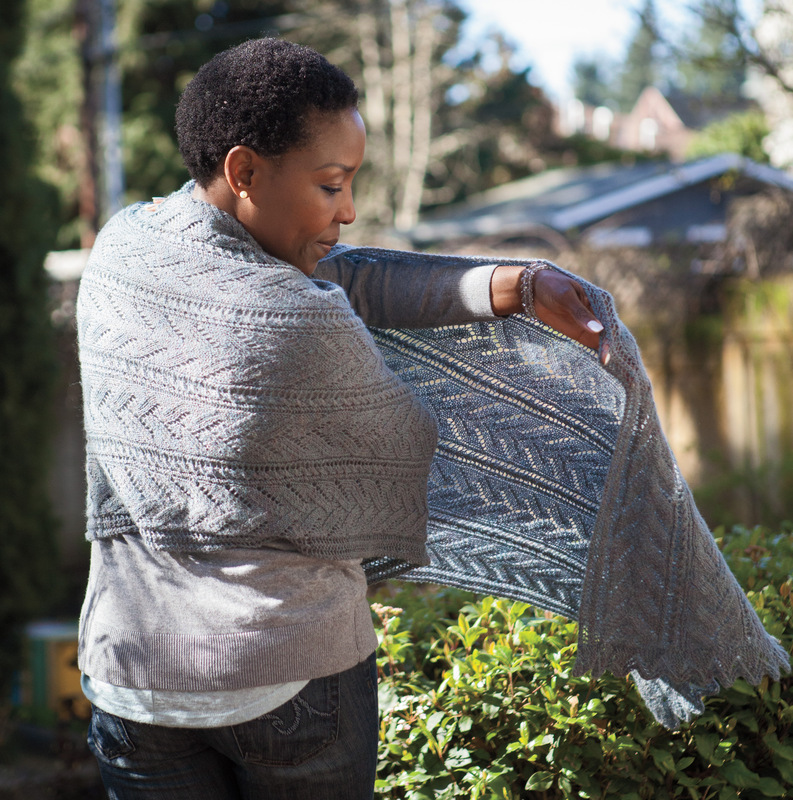 Aurelia stole is my contribution and I had such fun designing it. Aurelia is knitted flat and has a constant stitch count, which means it is a good project if you are new to lace knitting. The leaf patterns are designed to alternate between flowing up and flowing down, so there is no upside-down to the piece as you wear it. 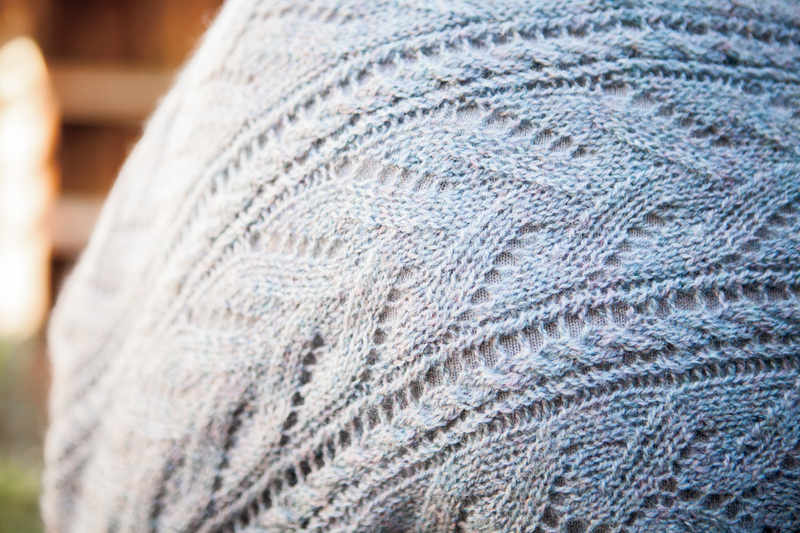 The lace edging is knitted on at the last, making this a seamless project. Knit Picks Shadow Lace Yarn was used for this sample and it is heavenly to work with. Soft and heathered, the delicate blend of colors is delightful. Opal Heather was used which is actually a pale, dusty blue with subtle flecks of purple. For more information, check it out the Joyful Lace Collection in Ravelry.